Let the sunshine in, keep the heat out. 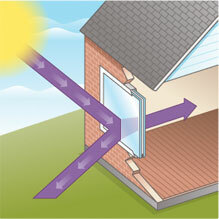 Solarban 90 glass keeps your home cool and bright inside when it’s hot and sunny outside. 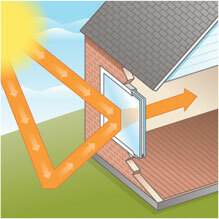 Featuring the latest in solar control, low-e coatings technology, Solarban 90 glass blocks nearly 80 percent of the sun’s radiant energy and transmits more than 50 percent of the available sunlight in a standard ¾-inch double-pane window unit. That means you get the lower cooling bills you deserve and the sun-splashed rooms you desire. 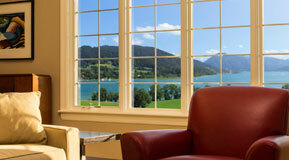 While windows made with Solarban 90 glass perform well in any environment, they are especially well-suited to homeowners who want ENERGY STAR-certified performance combined with the appearance of traditional clear-glass windows. When you want the best of both worlds – world-class energy efficiency and transparent neutrally reflective windows that harmonize beautifully with brick, stone, wood, stucco, siding and other residential finishes – ask for Solarban 90 glass by Vitro Architectural Glass. 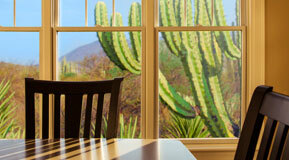 Click here to find a window dealer near you. *Damage Weighted Transmittance is calculated according to a function called Tdw-ISO, developed by the International Standards Organization (ISO) and published by the International Commission on Illumination (CIE), the world’s leading technical organization on lighting and illumination. The Tdw-ISO calculation measures fading risk from solar radiation across the entire solar light spectrum, from UV light (280-380 nanometers) through visible light (390-780 nanometers). 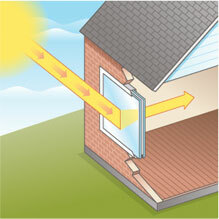 According to the CIE standard, which is considered more comprehensive than UV rating alone, Solarban 90 glass can minimize fading damage across the entire solar spectrum more effectively than glass designed primarily to block UV light. 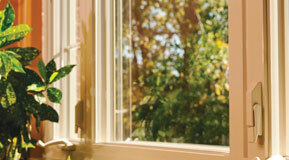 Windows made with Solarban® 70XL glass give today’s homeowners the ultimate solar control glass on the market. 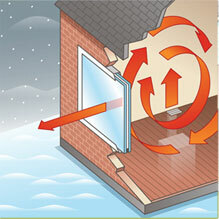 Engineered primarily for moderate to colder climates, Solarban® 67 glass offers brilliant transparency and an advanced Low-e coating.